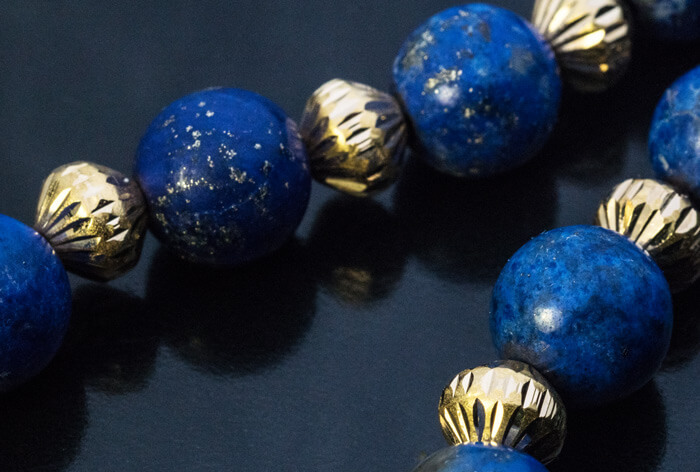 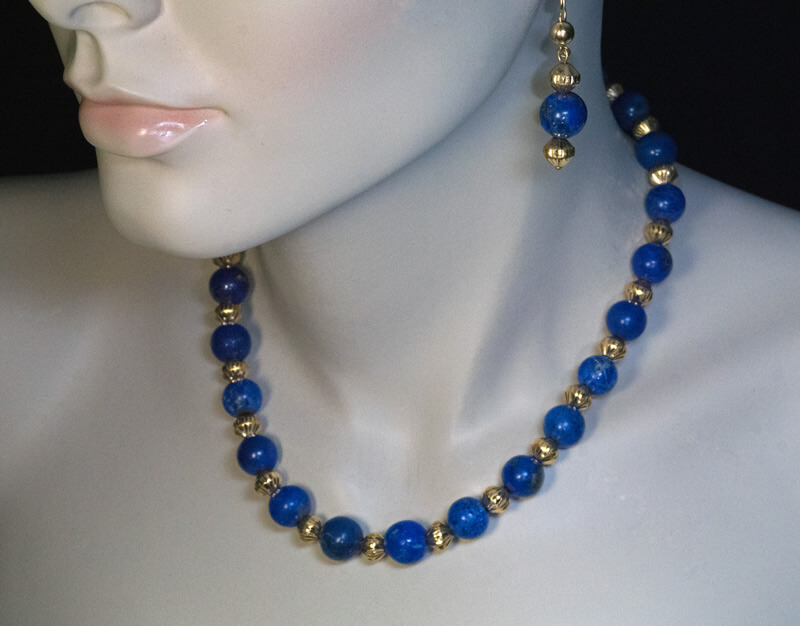 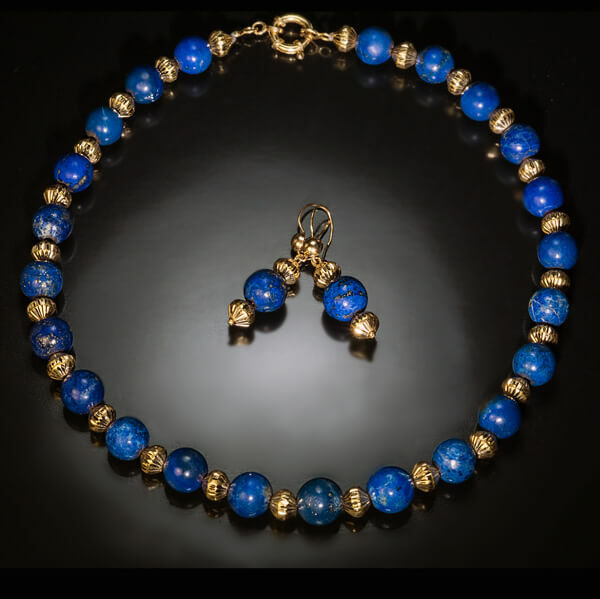 A necklace and a pair of dangle earrings are made of alternating lapis lazuli round beads and diamond cut gold beads. 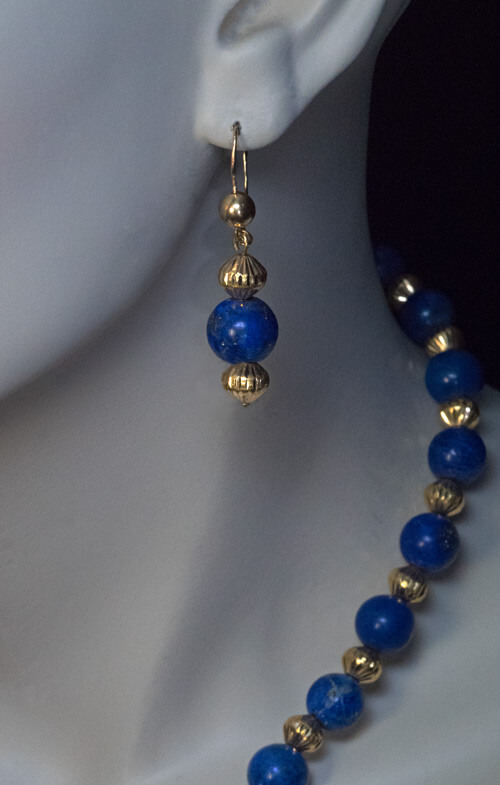 The design of this set was clearly inspired by ancient Egyptian lapis and gold jewelry from the time of Queen Cleopatra. 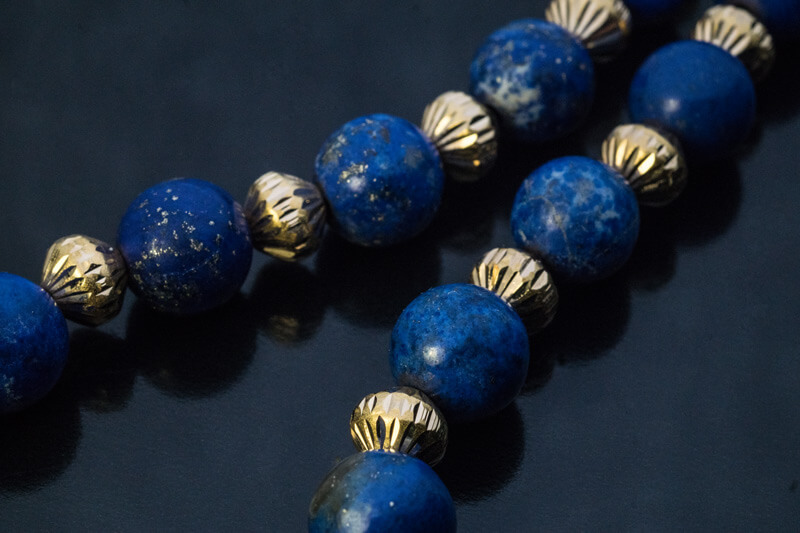 The set is marked with contemporary Russian control marks for 585 and 750 gold standards (14K and 18K).